Shared Services, a co-venture between ConocoPhillips and BP, transports more than 27,000 employees and contract workers every month between Anchorage, Fairbanks and the North Slope. The service provides 22 weekly Boeing flights and between 60-80 weekly CASA and Otter flights. The pilots and flight attendants who compose the aircraft crew are all ConocoPhillips personnel. Its mission is to provide the safest, most cost effective and efficient mode of transportation needed to sustain operations. 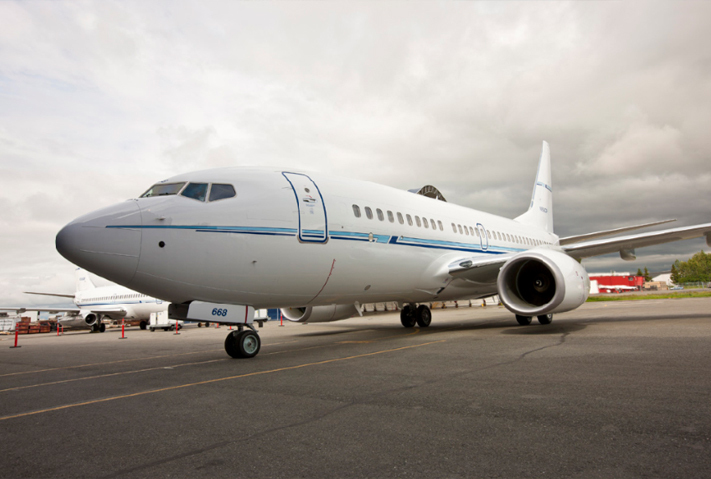 The Boeing 737 aircraft have a capacity of 136 passengers each, can be utilized for medical evacuations and are stationed at Ted Stevens Anchorage International Airport. The 15-passenger Twin Otter and the 18-passenger CASA 212, based at the Alpine facility, are also utilized for cargo, medical evacuations, freight, pipeline patrol, emergency response, survey work and ice strip operations.